about this book: A serial killer is terrorizing the town of Breda in west Michigan. It appears as if there is no rhyme or reason to the killings, and with each succeeding murder, the town edges closer and closer to mass insanity. People move away. People turn their houses in fortresses. People can barely sleep at night. 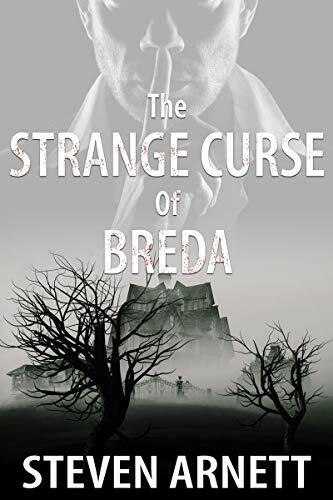 However, Jim Leiden, a young man who runs a small grocery in Breda, finds a clue that may link all the murders together: The hanging of a man named Obadiah Kurtz that occurred in 1889. He researches the story and finds that the victims are descendants of the people who were responsible for hanging Obadiah. After Jim's discovery, he's in a race against time to try to get the police to believe him and find the murderer before he can kill the only person in the whole world who really matters to him: His beautiful fiancée Julie Veere, who happens to be one of those direct descendants! I was inspired to write this book from reading about the Dutch settlers who came to west Michigan in the 1800s, hoping to establish a religious community based on very strict Christian principles in line with the Dutch Reformed church. I came up with the title because I wanted it to be a descriptive as possible related to what the book is actually about. I want my readers to really enjoy this book and want to read it right to the very end!